The Nets have announced Lionel Hollins as their new head coach. A few thoughts on some of his comments from the presser, as well as Billy’s. Some of these are direct quotes, some paraphrases. Billy on Lionel: “in going through it last year . . . it made it easier this time to be able to do it quick.” — There were reports last year that Billy was denied Memphis’ permission to speak with Lionel, and Billy always mentioned doing homework on many guys. That tells me that Hollins was a primary target last year, which helps explain how this happened so quickly. Billy on Memphis and Lionel: “the development of Conley and Randolph, and the discipline of the team.” — It is definitely intriguing to Billy that Lionel developed talent in Memphis, and particularly helped Randolph rebound from the dumps (read: Deron). While Hollins is dinged by some for poor player development, the only 2 examples are OJ Mayo and Ed Davis: both of whom have actually regressed after leaving Hollins. Billy on the Decision: Discussed Lionel as an old school ball coach, referenced people Lionel referenced, like Cotton Fitzsimmons, as people he respects. Discussed it “feeling right,” before giving ownership a call. It seemed clear to me that Billy is extremely comfortable with Lionel and that this is his decision, his type of man and coach. He did not seem as comfortable with Kidd who seemed forced on him at least in part by ownership. This feels more like Billy made a decision and sold ownership on it. Hollins on Contact with Players: He reached out to Deron but let him relax with his family, he has not talked with Joe or Kevin, and called reaching Paul “premature,” citing it as Billy’s job to deal with a free agent. He later omitted Paul from the team’s nucleus. I am not worried about Lionel’s lack of contact. Between interviews, getting back to people with congratulatory remarks, making arrangements with jobs, interviews, etc, he’s barely had time to talk to players, and apparently has only spoken to one. As for Paul, Lionel was sure to say he’s not here to be a GM, which was of course critical after how Jason left. That Lionel mentioned it being premature to talk with Paul because it’s Billy’s job is no source of concern, and I take his omission of Paul from the nucleus in the same light. Hollins on Deron: “When you’re not healthy you can’t be the player you want to be . . . and then once you’re healthy you have to have your conditioning.” – Clearly Deron has been hobbled. But it was interesting that Lionel also jabbed at his conditioning. Lionel come’s across as a coach’s coach, and men like him have a keen sense of whether a guy is out of shape. If it’s even slight, they’ll notice it. Lionel coached against Deron in Utah, New Jersey, and Brooklyn, and watched him play this year: if Deron is lagging with his conditioning, he knows it. The Lionel-Deron dynamic appears poised for a clash at some point. The difference between Lionel and Avery? Lionel doesn’t have to beg Avery to stay with the Nets. And Deron has lost clout, capital, and reputation as compared to that time period. Look for Lionel to exert the iron fist. Hopefully Deron can handle it. Lionel on Prokhorov: He talked multiple times of Mikhail’s resources to win, his desire to win, the new practice facility, and again, the word resources. Lionel left Memphis, and during his clash with ownership and management retorted about its frugality, saying that you can’t have “champagne on beer money.” Take Lionel’s adulation for Mikhail’s desire to spend, together with the Boston trade (picks for older guys making big money), together with the Thornton deal (an expiring for a bad 2 year contract with a partial guarantee in year 3), and the rumors that the team does not want to spend anymore just don’t add up, in regards to Pierce and in regards to the team generally. Lionel on the Personnel: “you can never have too many shooters.” – Perhaps a clue the Nets will look for more of that as they fill the roster. Lionel on his Family: that he is soon to be an “empty nester” and hopes to enjoy the city with his wife as a contender is developed. That made it sound like here looks to be here for the long haul, as he and his wife enjoy New York. Lionel on Style, and Memphis “Grit n Grind”: He mentioned that he wants to play to a team’s strengths and that style is discussed too much. He said, paraphrased, “I want to win more than anything . . . when we find what works that is what we’ll do. I did not come to Memphis wanting to play that way but it worked for them so that’s what I did.” — Seemed to indicate that he is in no way married to any style. Did he run a slow paced offense based on the post in Memphis? Sure. He also had little team speed and 2 burly, punishing bigs: the style suited Memphis. He in no way feels constrained to bringing that here and seems flexible to doing what suits this roster, not necessarily what he did in Memphis. Lionel on the Lakers as related to Paul Pierce in my Opinion: “I’m all about who wants me.” — People want to be wanted. Maybe Hollins would have enjoyed LA, enjoyed living there and coaching Kobe, perhaps Melo, or their future acquisitions. 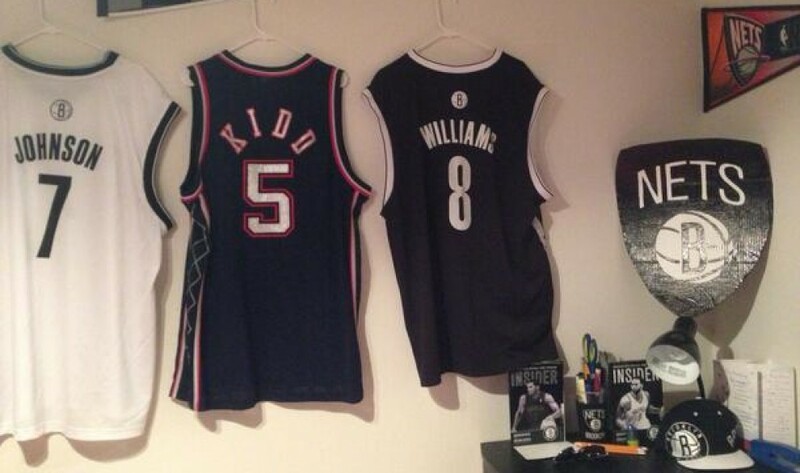 But people want to feel wanted, the Nets made him feel wanted, and he’s here. They need to do that with Paul. One General Remark: Lionel clearly takes no B.S. Everyone who wanted a coach willing to yell, willing to display his authority, willing to push the roster to the limit and put his stamp on them: you’ve got your man. This entry was posted in Rumor Central. Bookmark the permalink.